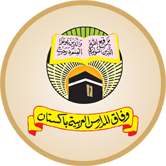 Multan, Wafaq ul Madaris Al Arabia Multan has already received the admission forms from the students, who wanted to appear in the matric, inter, bachelor and master degree annual exams 2019. Now WMAA has issued the WMAA annual exams roll no slips 2019 to the students and they will download their WMAA roll no slips 2019 annual exams online and bring their roll no slips in the exams centers for their verification. The candidates will have to provide the information online to download their WMAA roll no slips 2019. You Can Get Wifaqul Madaris Roll Number Slips Here.